Lentinula edodes, shiitake mushrooms are delicious as well as a potent medicinal. Feeding on dead wood, it's easy to grow these nutritionally dense, gourmet mushrooms at home. Click here to purchase ready-to-fruit shiitake logs, and here for instructions. Shiitake mushrooms have historically been cultivated in Japan, but given the right food they are quite at home in our North American forests. By harvesting trees in a safe and ecologically supportive manner, we can use the logs of certain hardwoods to cultivate shiitake. We farm a strain that is more content with our softer hardwood, red maple. 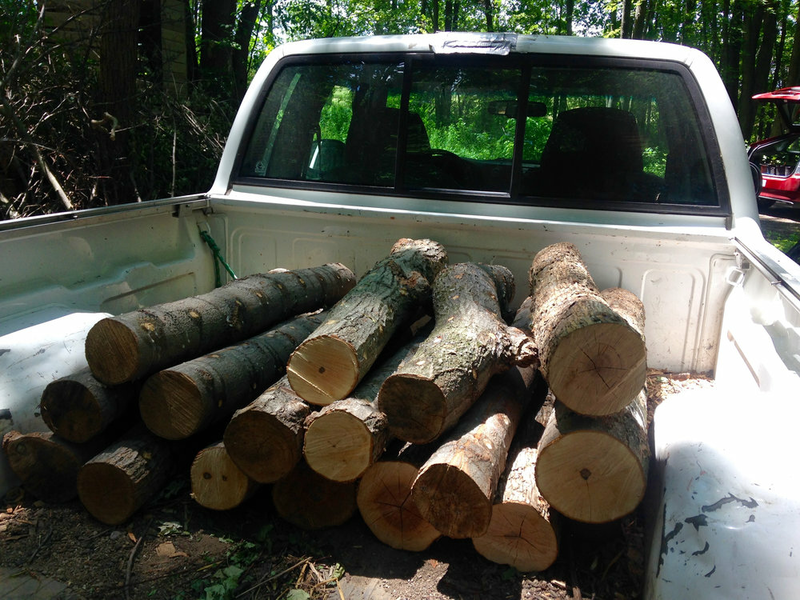 We also purchase hardwood logs like sugar maple and oak from a local forester to cultivate the cold weather strain we offer for sale. Shiitake ready to grow as soon as spring weather comes. This year we'll introduce ducks to our farm. As they're great foragers for slugs, we'll elicit their help in protecting our shiitake and oyster mushrooms. If you're interesting in growing your own shiitake you can purchase fruiting shiitake logs from us, or check our events and follow us for workshops where we'll show you how to cultivate your own. Shiitake, and many other mushrooms, are high in vitamin D. And when dried in sunlight, the vitamin D content of shiitake skyrockets. Check out the research, and grow and store this protein rich mushroom for your winter meals.